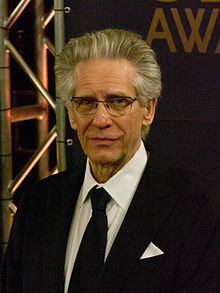 David Paul Cronenberg (born 15 March, 1943, Toronto, Ontario, Canada) is a Canadian filmmaker. We are confused and bemused, and think that it’s a momentary delusion that will soon dissipate, leaving our lives to continue as they were. I'm always working on the same thing, the creation of an identity. It's mysterious: We think identity is genetically given, but I believe there is creative will involved with the decision of who we are going to be. All my movies are concerned with this. I know that many artists feel that they are frauds - that's part of the pleasure of creativity. I'm an atheist, and so I have a philosophical problem with demonology and supporting the mythology of Satan, which involves God and heaven and hell and all that stuff. I'm not just a nonbeliever, I'm an antibeliever - I think it's a destructive philosophy. I think all my movies are commercial. That's my delusion. I thought 'Naked Lunch' was wildly entertaining, so what do I know? Omnisexuality is the term that I use in Hysteria. There seems to be a strain of pure sexuality that can embody itself in any possible way, female, male, something else. This is the first time I’ve ever articulated this, but I think I’m most interested in that essence of sexuality that seems to be able to take many forms but has still a specific feel and tone to it that we all recognize. You can’t really define it as male or female. I’m very fascinated with the way in which maleness and femaleness is specifically physical. but not necessarily purely sexual. There is a difference amongst all those things. This takes you right back to the mind/body schism that I go crazy with all the time. Technology isn’t really effective, it doesn’t really expose its true meaning, I feel, until it has been incorporated into the human body. And most of it does, in some way or another. Electronics. People wear glasses. They wear hearing aids that are really little computers. They wear pacemakers. They have their intestines modified. It’s really quite incredible what we’ve been able to do to the human body and really take it some place that evolution on its own could not take it. Technology has really taken over evolution. We’ve seized control of evolution ourselves without really quite being conscious of it. It’s no longer the environment that affects change in the human body, it’s our minds, it’s our concepts, our technology that are doing that. This page was last edited on 27 October 2018, at 15:20.